The “Cliffs of Insanity” are actually the Cliffs of Moher in Ireland (personally, I think Ireland should think about renaming this location to align with the movie). Dramatic movie scenes aside, they really are a natural wonder, standing at a staggering 702 feet at their highest point. Formed over millions of years from sedimentary deposits, the cliffs are rife with fossils, and are constantly (but slowly) changing due to erosion. Don’t get me wrong, I love Whoopie Goldberg, but I’m very glad that Robin Wright got the part. Virtually unknown at the time, this was Wright’s first major role. She went up against Courtney Cox and Meg Ryan, and yes, even Whoopie Goldberg campaigned for the role (now try picturing them in different scenes as you watch the movie – it’ll blow your mind). We’ve all considered building up a resistance to iocaine powder after seeing this film, just in case, but sadly it’s made up. However (and we don’t recommend this), you can actually build up a resistance to some lethal substances. Mithridatism is the practice of protecting oneself against a poison by self-administering non-lethal amounts over a long period of time. The name comes from Mithridates VI, King of Pontus, who ingested small doses of poisons on a regular basis, to try and develop immunity. However, in modern times, this practice is almost exclusively performed by those who regularly risk exposure to venomous animals. Some nights while shooting the film it apparently got rather chilly. In which case, Andre the Giant would place his hand on Wright’s head to help keep her warm. Now that’s a custom headpiece! Now that you know all this, come watch The Princess Bride in the Wortham Giant Screen Theatre (for an additional $6) during World Trekkers on Friday, March 21! Feast your eyes, ears, and stomach! At World Trekkers, we’ve got something for everyone. Come hang out with your favorite limeys, like Henry VIII, Anne Boleyn, Robin Hood, Maid Marian, and the Royal Guard. Feeling artsy? Take in a calligraphy demonstration or a painting class provided by Pinot’s Palette. Feeling dangerous? Watch some sword fighting demonstrations. Feeling classy? Enjoy tea time, provided by House of Té, and live music by Apollo Chamber Music. Feeling hungry? We’ll have food trucks out front, and free cookies (or as the Brits might say, biscuits) for the first 500 attendees. Feeling romantic? 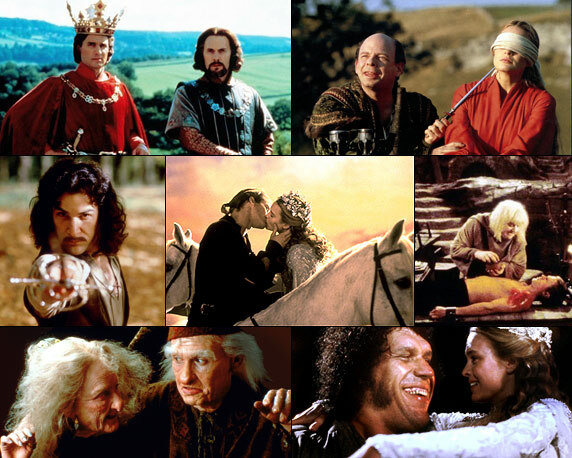 Watch The Princess Bride in the Wortham Giant Screen Theater (for an additional $6). All this PLUS free admission to our Magna Carta exhibit! Sealed almost 800 years ago, one of the most important legal documents in history is in Houston for an exclusive, limited engagement. And you can see it at World Trekkers at no extra cost. What are you waiting for? Come see everything England has to offer without leaving your own backyard — at HMNS during World Trekkers on Friday, March 21.